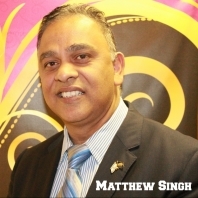 Pastor Matthew Singh is the Senior Pastor at New Haven Ministries, New York. He is married to Kathy Singh. Pastor Matthew and Kathy are the founders of New Haven Ministries and have been ministering here for more than 17 years. Sister Kathy is the leader of the worship team and the women's ministry; she has been singing since the age of 7 and she is phenominal. She also teaches women's discipleship and hosts all the monthly women's meetings at New Haven. Even with a full-time secular job and a 10 year old son, Adam, Sister Kathy is diligent about her responsibilities as a Pastor's wife and as a disciple and disciple-maker. Asha and Jacob Shannon have been a part of New Haven Ministries for the past 13 years. They are the leaders of the Youth Ministry (Knights for Christ) but work in every ministry. Jacob teaches a children's music class on Wednesdays at 7:00pm and he is a permanent part of the praise and worship team (singing, playing piano) during Sunday services and all other church events. They plan and coordinate all activities for the youth ministries as well as mentor and counsel the youths. 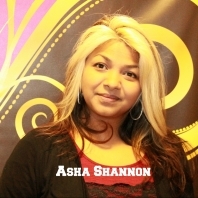 Asha and Jake have a son, Joshua, who is a youth leader in training and also a musician. Josh plays the drums and guitar on the worship team. They are passionate about children and are kingdom builders. Sharda and Anderson Hosein have been dedicated members of New Haven Ministries for over ten years. 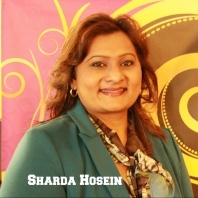 Sharda is actively involved in the Children's Ministry (Kingdom Kids) as the Sunday School superintendent and has a real passion for child evangelism, she is a Certified Christian Teacher through CEF. She is responsible for lesson planning and scheduling, within the Sunday School department. Anderson works in the media/tech department where he controls sound and lightning for all events at the ministry. Sharda and Anderson have two children together, Angelina (17 years) and Alex (10 years) who are part of the New Haven Youth Ministry and Sunday School, respectively. 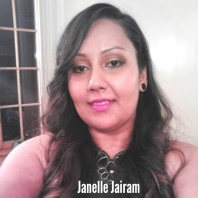 Janelle Jairam has been a member of New Haven Ministries for over 10 years. She is a wife and mother of two children, Jayda (14) and Jayden (8); both children are actively involved at New Haven Ministries. Janelle is engaged in every ministry within the church but has greatest prominence within the administration and management ministries where she connects with everyone to ensure a smooth operation. Janelle is usually one of the indiviuals that follows up with our guests, so if you have visited us, you may get a call from her! Content Copyright 2019: Redesign by 22Solutions.